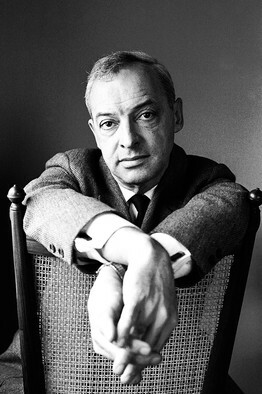 Saul Bellow was a Canadian-born Jewish American writer. For his literary contributions, Bellow was awarded the Pulitzer Prize, the Nobel Prize for Literature, and the National Medal of Arts. He is the only writer to have won the National Book Award three times, and the only writer to have been nominated for it six times. In the words of the Swedish Nobel Committee, his writing exhibited "the mixture of rich picaresque novel and subtle analysis of our culture, of entertaining adventure, drastic and tragic episodes in quick succession interspersed with philosophic conversation, all developed by a commentator with a witty tongue and penetrating insight into the outer and inner complications that drive us to act, or prevent us from acting, and that can be called the dilemma of our age." His best-known works include The Adventures of Augie March, Henderson the Rain King, Herzog, Mr. Sammler's Planet, Seize the Day, Humboldt's Gift and Ravelstein. Widely regarded as one of the twentieth century's greatest authors, Bellow has had a "huge literary influence." Bellow said that of all his characters Eugene Henderson, of "Henderson the Rain King," was the one most like himself. Bellow grew up as an insolent slum kid, a "thick-necked" rowdy, and an immigrant from Quebec. As Christopher Hitchens describes it, Bellow's fiction and principal characters reflect his own yearning for transcendence, a battle "to overcome not just ghetto conditions but also ghetto psychoses." Bellow's protagonists, in one shape or another, all wrestle with what Corde (Albert Corde, the dean in "The Dean's December") called "the big-scale insanities of the 20th century." This transcendence of the "unutterably dismal" (a phrase from Dangling Man) is achieved, if it can be achieved at all, through a "ferocious assimilation of learning" (Hitchens) and an emphasis on nobility. In 1989, Bellow received the Peggy V. Helmerich Distinguished Author Award. The Helmerich Award is presented annually by the Tulsa Library Trust. With a novelist, like a surgeon, you have to get a feeling that you've fallen into good hands--someone from whom you can accept the anesthetic with confidence.